Eva studied Interior Architecture and Furniture Design at the University of Industrial Arts in Helsinki, Finland. She received her MA in Architecture and Design from the Royal College of Art, London, UK. Eva's many interests and curiosity lead her naturally to create a diverse body of works. She possesses an intuitive ability in many forms of art including drawing, painting, prints, reliefs and sculpture. 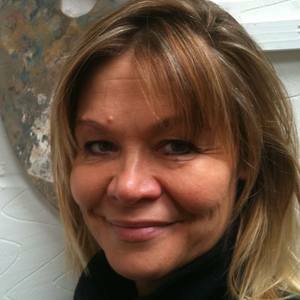 Eva has received private commissions for her portraiture and sculpture and has exhibited in galleries, including Cork Street in London,UK and in regional public exhibitions. Two of her paintings were preselected for the Columbia Threadneedle Prize 2015. Eva's works can be found in private collections in UK, Belgium, Finland, Spain and Sweden.